In a follow up to the Lexington School Bus Rollover/MCI drill on October 9th, we received a kind letter from Lexington Fire Department’s Assistant Fire Chief, Kenneth Tremblay. We’d like to extend a big thanks to the crew involved in this simulation. Your professionalism and dedication are highly regarded. 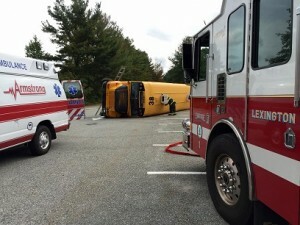 If you’d like to read more about the Bus Rollover Drill check out this awesome article.